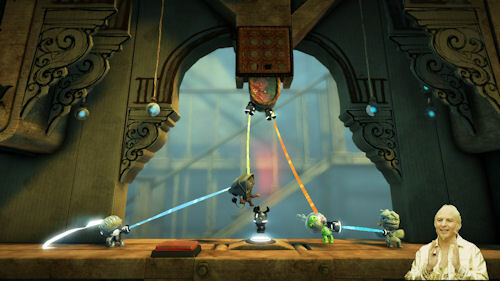 Little Big Planet 2 has gone gold, meaning no more delays, and it'll be out on store shelves on January 18th, 2011. The four player co-op title features a ton more levels to play, a story mode, challenges, and more. But most importantly, it adds dozens of tools to allows users to create their own custom game modes and variations. All of that is tied in once again to the online community for sharing, rating, and playing. Other changes to the game include "Sackbots" and the grapple tool. There's a demo out now on PSN which lets you get a handle on some of the new gameplay options and tweaks. Page created in 0.5379 seconds.